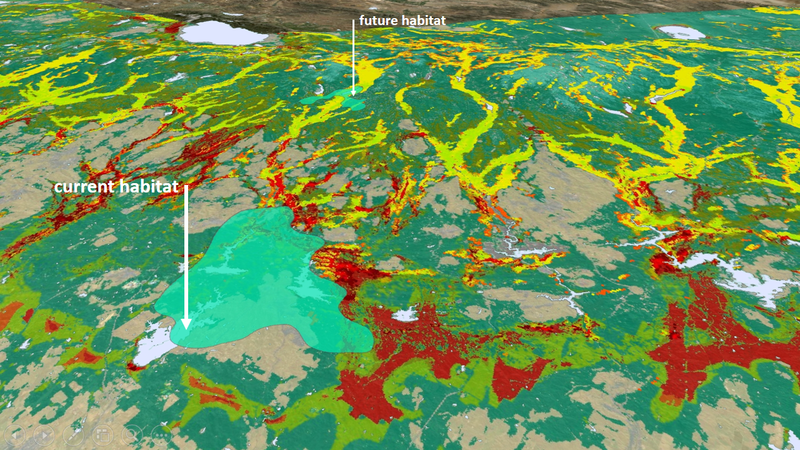 Can we identify areas where nature will need to migrate in response to climate change? Borrowing principles of resistance and flow from electrical engineering, The Nature Conservancy in California mapped ecological connectivity throughout the state. The climate is changing faster than at any time in recorded history. Catastrophic storms, droughts, floods, and fires are increasingly common. People adjust to these changes by turning up the air conditioning, fighting forest fires, and building infrastructure. Plants and animals are also feeling the heat, but lack the ability to change their environment. When their territories become uninhabitable, their only option is to leave and search out new habitats. Range shifts have already been detected for many plant and animal populations in response to recent climate change. But adaptation takes time—often many generations—and the climate is changing ten times faster than it has in the past. Even as they struggle to adapt, wildlife attempting to move to new ranges are likely to run into roads, dams, cities and sprawl blocking the way. Given all these challenges, how do we protect California’s iconic ecosystems—oak woodlands, giant redwood forests, desert chaparral—as well as the plants and animals adapted to live in those systems? With limited resources for protecting additional lands, the conservation community needs to ensure that our priorities and investments optimize for conservation today and under future conditions. 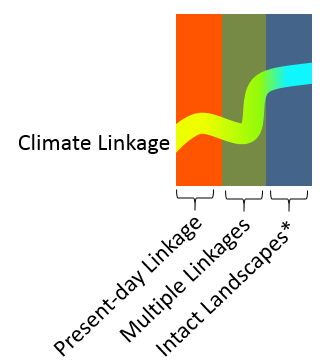 Large, undeveloped tracts of land with varied topographies and microclimates may offer the most benefit to plants and animals under climate stress. Over time, these lands provide conditions that allow plants and wildlife to adapt to changing climate. But, identifying these resilient places—and the linkages that can connect them today and in the future—is complicated. Scientists with the Nature Conservancy in California and in the North American science team, and Conservation Science Partners have been working on mathematical models, or tools, to help map connectivity potential across the state. These tools are helping decision-makers prioritize land protection and infrastructure development efforts. Protecting, restoring, and enhancing habitat connectivity in already fragmented landscapes poses many challenges for conservationists. This essay discusses the importance of considering implementation feasibility when developing connectivity conservation priorities and plans. In Connectivity Conservation edited by Kevin R. Crooks and M Sanjayan. 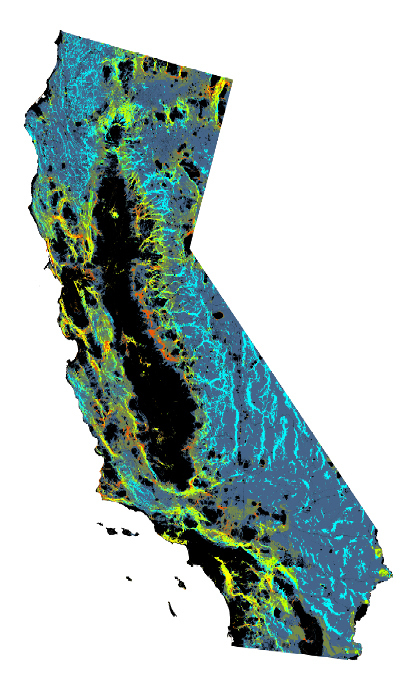 This webmap provides regional climate projections with information about topography, coastal proximity and level of habitat fragmentation to help land managers identify concrete conservation actions they can take now to help address the threat of climate change to the terrestrial species of California.